How do you schedule your employees? Do they have set hours? Do they have on-call shifts that can be cancelled as late as one hour before a shift started? A California lawsuit against Victoria's Secret and an Attorney General's investigation in New York may change the practice of unpaid on-call shifts. When Mayra Casas worked for Victoria's Secret, she would often be assign 15-20 hours of on-call shifts a week. She would have to call in two hours before her shift started to see if the store needed her to work or not. If the manager said yes, Casas would get a few hours of work and pay. If in-store traffic is slow and Casas' shift was cancelled, she would get nothing. Some weeks, Casas would work all 30 hours scheduled and make $270. Some weeks, she would only work 10 hours out of the 30 scheduled and make only $90. As unfair as this practice may sound to employees, scheduling workers for on-call shifts is a very popular practice among many retailers. 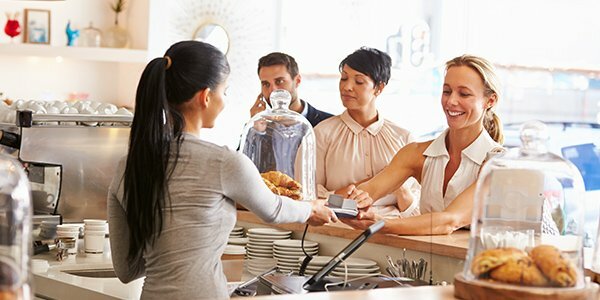 The practice helps companies save on the cost of paying unneeded employees when store traffic is low, and ensures that managers can call in employees quickly when store traffic is high. In New York, the Attorney General's office is also investigating 13 large retailers, such as Gap, Target, and Abercrombie and Fitch, for similar on-call shift practices. The AG's office believes these retailers may be violating the state's reporting time pay laws. Last July, Casas filed a class-action lawsuit against Victoria's Secret. The lawsuit claims that not paying employees for canceled on-call shifts violates the state's reporting time pay law. California's law requires employers to pay employees for at least half of an employee's scheduled work hours if the employee is sent home early. Casas argues that this law should also apply to on-call shifts. However, Victoria's Secret argues that California's law only applies when an employee "reports to work." Since the employee only calls in and never actually shows up at work if a shift is cancelled, then the employee did not "report to work" and is not owed any pay. Currently, courts are unclear about whether the phrase "report for work" includes on-call shifts because California's law does not specify. Other similar laws from other states also fail to specify. The district court judge on the case ruled that "report for work" does require physical attendance at work and dismissed Casas' case. However, the judge did give Casas leave to appeal the decision to the U.S. Court of Appeals for the 9th Circuit. We will have to continue to wait for the 9th Circuit to accept and consider the appeal, but a ruling in Casas' favor could significantly change scheduling practices for retail employers nationwide. If you do practice on-call scheduling for your employees, you may want to consult with an experienced employment attorney to ensure that you're not breaking any laws or discuss new options should this case change the law.